Together, partners James E. Lindell and James A. Lavoie offer over 70 years of legal experience representing thousands of clients. As seasoned attorneys and certified trial lawyers, they can guide you through the often intimidating civil justice system. 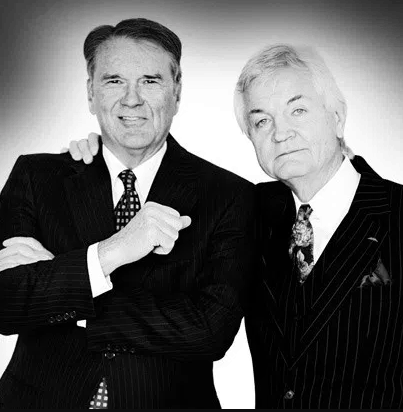 Whether in mediation, arbitration or trial, Jim Lindell and Jim Lavoie have a reputation for vigorously, thoroughly and professionally representing their clients and fighting for their interests. Both of our senior partners possess the combination of legal expertise, track record of success, recognition by other lawyers and friendly, plain-spoken manner that has consistently earned them the honor of being named “Super Lawyers” by the Minnesota Journal of Law & Politics and Mpls/St Paul magazine. They have passed on the very same values and skills to their associate attorneys, who all continue to offer the same excellent professional services. Ben Lavoie and Grim Howland have been practicing injury law for over 10 years each, and have both repeatedly been honored by Minnesota Journal of Law & Politics as “Rising Stars” within the profession. Our practice is also aided by the services of an elite investigator.